read it properly and then sms/message me back. 1st patch of around 2-5 decimil is 5000/decimal.25/(also available on easy monthly installments) hurry up 2nd two patches of around 2-3 decimil is 7000/decimal. 25/34 0r 25/52(also available on easy monthly installments) hurry up. After 1st and 2nd plots sold the rate per decemil will be 10000/ decemil. if you want to buy 6 decemil price will be 60000. if you want to buy 7 decemil price will be 70000.if you want to buy 8 decemil price will be 80000.if you want to buy 9 decemil price will be 90000.if you want to buy 10 decemil price will be 100000.if you want to buy 15 decemil price will be 150000. in short-this is a agricultural land which can be used residentially due to presence of legal panchayat road and a borewell for water for temporary use. 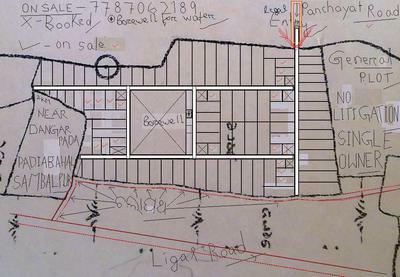 1-Plots on sale away from town near to village. 2-away from sambalpur town and near to village dangarpade, padiabahal. 3-legal panchayat road available for good communication(20 foot). 4-borewell is available for temporary water requirements. 5-no litigation hence no tension.clear documents. 6-general land hence no permission required. 7-single owner hence registration within 7 days is possible. 8-plots will be suitable for middle class families after 1-2 years 9-this plot is for those who want to live lonely life right now only. 10-this deal is for investment purposes. 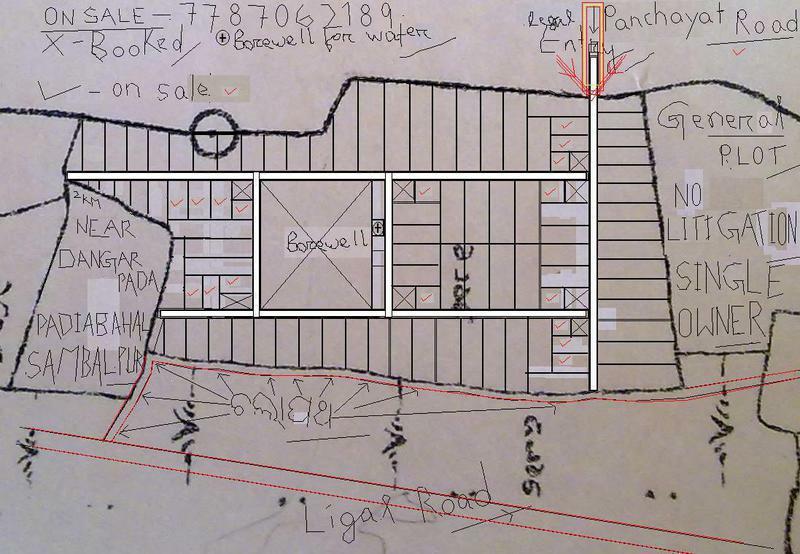 11-this plot is for village house or for farm house purposes. 12-LOCATION- A-sambalpur dhanupali to padiabahal, deogarh road 20 km. B-padiabahal to rhs 5 km dangarpada. C-dangarpada to place or plots 1 and ½ km 13-plots are surrounded by three villages like dangarpada, litimuda, nuamuda 14-gradually it will be a just like small village with all facilities a-50-60 houses must be there as 50-60 must be sold by me. b-indivisual transformer will be set up there for better electricity. c-water tank for water supply. 15-please read it twice and keep one copy. 16-if you are not interested then please ignore it and don’t waste your time money and afford. And if you are interested then call me back nandisahu151@gmail.com. Thanks for reading. 17-a-with respect to the price of land only the legal communication or the road should be verified wheather it is available or not and b-With respect to above points you can easily decide that these plots are suitable for you or not. C-The legal documents should be verified. After which plot visit should be just a formality. 18-portability- variable size plots 2 to 5 decimil. 19-readily available for everyone. 20-feel free to ask me any question regards to this deal. 21-peaceful and polution free area. 22-HDFC home loan is also can be arranged. as me myself is a connecter. 23-IMPORTANT-let me know once you get the message.as i got the message.